If you are looking for information on the Human Resource Rx franchise business opportunity, Human Resource Rx franchises or Human Resource Rx franchising, then you have come to the right place. We are offering for limited time a Master/Area Representative Franchise opportunity. You will receive Royalties and Franchise Fees just like the Franchisor. Human Resource Rx an established successful business is expanding national using the Franchising Business model. In order to gain rapid market penetration we are offering to a few entrepreneurs the Master/Area Representative Franchise opportunity. The individuals selected to participate in this program will be able to recruit local entrepreneurs to be Human Resource Rx franchisees. In return the Master/Area Representative will receive half of the Franchise Fee and Royalties. Human Resource RX, a franchise opportunity, provides cost effective outsourced human resource services to small businesses. 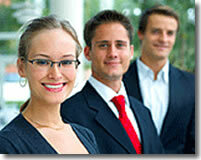 Human Resource RX is the outsourcing solution in today's turbulent marketplace. The need for human resource services has never been greater. Litigation related to employment matters has seen steady increases each year. Additionally small companies face significant monetary consequences for violations of state and federal labor laws. The proactive management strategy employed by Human Resource Rx is a complete approach to address human resource needs. Human Resource RX gives you the tools and support to succeed. We provide, the franchisee, with the necessary training and support to assist the clients with all of their human resource needs. This is a low over head business that can be conducted as a home-based business. 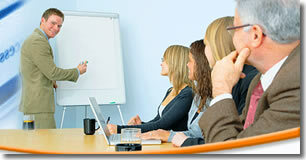 Franchisees will be provided with the initial and ongoing training as well as continuous support. They will also be given a custom manual so you can assists with all your clients needs. Our unique and proven marketing system will ensure that you build a client base rapidly. Share in franchise fees and royalty income by managing and owning your own territory. Area Representative Franchises offer the potential for significant wealth creation by selling franchises in your exclusive territory. As a Human Resource Rx Area Representative, you will receive 50% of the franchise fees and 50% of the royalty fees for all the franchises you sell within your territory. Embrace a new method in Franchising. Owning a Master/Area Representative Franchises enables you to exercise you entrepreneurial drive. You build your business by helping to establish new franchisees, who pay you half of the franchise fee. Then by helping to build those new franchisees' business you build you residual income stream, royalties. How many business opportunities give you the ability to increase your wealth at such a quick rate. This type of wealth creation is unachievable by owning a single franchise. Master/Area Representative Franchising offers numerous advantages over starting your own business by yourself. One of the key advantages is leverage. Rather then concentrating on one business you're able to leverage the efforts of several entrepreneurs (Franchisees). As the Franchisees grow, your royalties/wealth grow directly. The more Franchisees you have the faster you grow. Embrace the power of the Master Franchise.